Thompson twice named best in conference while at Tuskegee. The season is over for Tuskegee football and the emotions are still a bit raw from Sunday’s playoff snub. Despite winning the SIAC Championship and seven games in a row, the committee declined to move TU forward the one spot in the poll needed to make it to the postseason. For Osband Thompson that means his stellar career at Tuskegee will go no further. Thompson has been a star linebacker at Tuskegee since coming to campus as a walk-on his freshman year. He recorded 80 tackles as a freshman, 104 as a sophomore, 138 as a junior and 131 this season. His play improved year by year and more importantly so did his leadership. “Over these years you could see how I grew as a player, as an individual, just became the older dude. When I was younger I didn’t really realize the amount of responsibility the older guys had. Just being a senior, just being a leader, it just made me love football even more,” Thompson said on the field after the SIAC Championship game. Willie Slater echoed those sentiments of leadership when asked about Thompson after Saturday’s game. Thompson at his size is projected to be a strong safety at the professional level, with one scouting service ranking him as the 22nd best player at his position. No matter how his pro prospects fall, Slater knows that success will follow Thompson throughout his life. 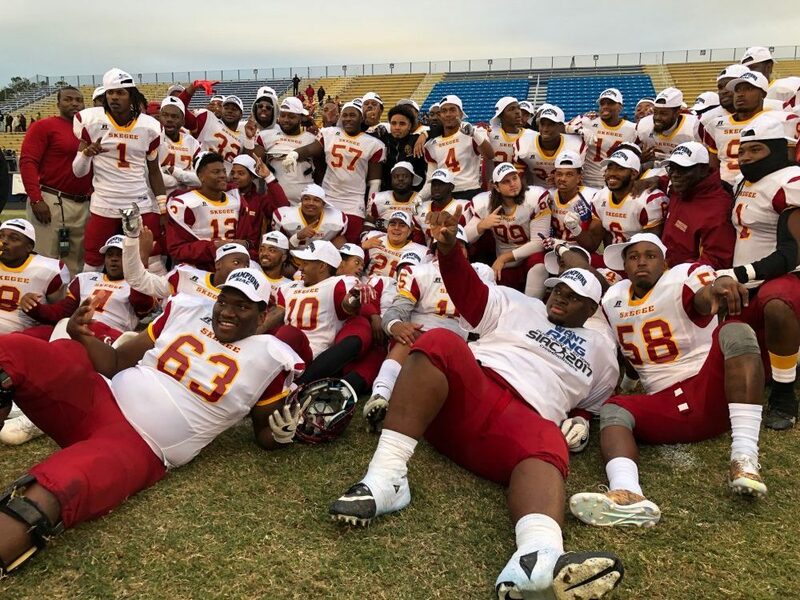 For more conversation on how Tuskegee was snubbed in this year’s playoffs listen to the HBCU Gameday Podcast. KSU belts five homers on Sunday.